"King's Dead" cut, featuring Kendrick Lamar, James Blake, and Future. Black Panther soundtrack as a whole, and he delivered a very valuable piece of information in regard to his own solo effort. Following 2015's 90059 sophomore effort, he went relatively quiet due to an injury sustained after getting into a dirt bike accident in 2016. 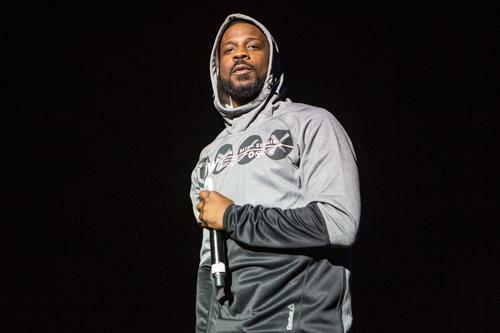 But, in his latest interview the TDE veteran revealed that after overcoming that obstacle, he's been in the studio and that long-awaited third album is on the way. "The album is done. I just had a minor little setback," he explained. "I was in an accident you, know? I was just healing up, and when I healed up, I just locked in the studio. ...Minor setback for a major comeback. ...It's already done. It's mixed up. It's ready to go. It's the business side as far as getting things cleared and things of that nature, but it's ready to go." As of right now, there is no official word on the album's title or a tentative release date, but it'll likely surface after the Black Panther soundtrack, executive produced by TDE, has completed its course. Of course, the interview couldn't terminate without the question arising on a certain other collaborative project over which we've been feening for years, and that was on the possibility of a Black Hippy album. Similar to his other mates, Jay kept it short and sweet with no hope in sight.